It all started late January. I was getting all worked up over of Montreal's latest release "Paralytic Stalks," when I noticed they were stopping in Boise, Idaho and not in Salt Lake City. "What gives!" I thought. 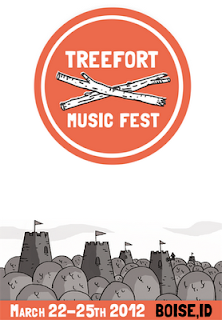 After doing the research, I discovered the "new emerging artist festival" titled "Treefort Music Festival." 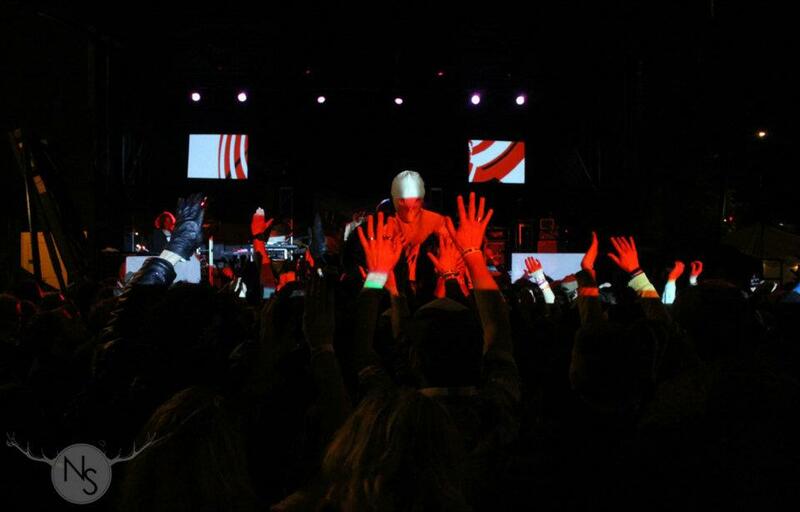 The festival was to be Boise, Idaho's own SXSW. "You mean I get to see Blitzen Trapper play in a bar?!" 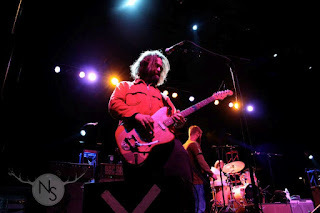 Anyways, in short the festival (4 days) was to feature over 130 bands with eight venues, and headliners such as of Montreal, Built to Spill, and Blitzen Trapper. With the opportunity present, I immediately accepted the invitation to cover the inaugural festival on behalf of Fake Plastic Tunes. Thursday the 22nd I left Salt Lake City to make the 300 mile trek, pulling into Boise around 4pm. With Finn Riggins kicking the festival off at 6pm, I was pressed for time and had to miss out on a few of the opening acts. I soon learned that being one person at a festival with 130 plus bands, I would have to sacrifice a few. After getting settled, I grabbed my camera and walked to the Red Room, a local club. The Loom, Brooklyn based rock band, kicked my night off with a mixture of distorted guitars, french horns, trumpets, and crashing cymbals. Following my list of bands to see, I walked a few blocks to the Linen Building (my favorite venue). Built in 1910 with a 21st century urban refresh, now hosting concerts, fashion shows, and other special events. I walked in as Holiday Friends (Astoria, Oregon) was going on. A dance indie rock outfit consisting of drums, keyboards, guitars and basses; accordions, tambourines, and last but not least banjos. Back at the Red Room, where I spent the remainder of my night, Portland Oregon's sextet Loch Lomond was playing. Loch Lomond caught me off guard with their unique sound and well put together live performance. The band uses an array of instruments ranging from mandolin, theremin, bass clarinet, to acoustic guitar. The distinct and unique vocals of lead singer & multi-instrumentalist, Richie Young, are cleverly arranged with the backing vocals. To end the night, Brooklyn-based Dinosaur Feathers filled the room with their indie pop dance grooves. One of the advantages to the festival and Boise is the downtown area is very lively, but also very small so getting around to the different venues was super easy. I woke up around noon and headed over to the press room located on the second floor of the Linen Building to upload some photos before heading to the Main Stage. The main stage area contained local food and beverage vendors, Radio Boise, live screen printing by Heirloom & Vine, among other local establishments. Next up, an instrumental two piece by the name of Talkdemonic. Kevin O'Connor plays drums and manages the synth while Molinaro plays violin resulting in an ambient sound, which is apparently called folkronica. They were easily one of my favorite performances throughout and I highly recommend checking them out. Unfortunately, I had to leave early due to a local tipping me off the previous night that Blitzen Trapper was to make an in-Store appearance at the Record Exchange, the local record shop. I headed over to the Record Exchange where in fact Blitzen Trapper (three of five members) was going to play. They went on to perform a few songs off of American Goldwing and a few others inviting the Parson Red Heads on stage to close the set with an amazing song a cappella. Salt Lake City indie four piece Desert Noises was going on next door at the Neurolux. I've always been a fan, so I was pretty excited to see them live especially since they play in town quite often. With their energetic performance they absolutely nailed it, drawing the crowd in from early on, which set the mood for the rest of the night. Portland Oregon band, the Parson Redheads, who happened to be on tour with Blitzen Trapper, soon took the stage. I had a small sample of their vocal abilities a few hours earlier at the Record Exchange, so I was looking forward to hearing them play. Their melodic guitar riffs arranged with three and four part harmonies notable. For the last song the drummer and lead guitarist traded instruments. 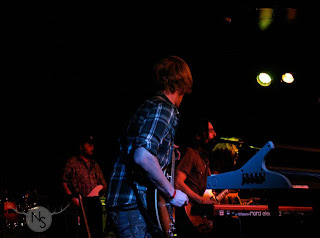 By this point the club was at capacity for the Blitzen Trapper. What happened next, is one of those festival moments when you really want to see another band (Why? at the mainstage) but you might miss the band playing at your current location. I decided to stay in fear of not being able to get back in to see the critically acclaimed Blitzen Trapper. I also had the chance to briefly chat with the drummer prior to the set saying, "this is going to be way fun," so how could I possibly leave? Blitzen Trapper came on at 10pm to a sold out crowd at the Neurolux. They played a number of new songs such as "American Goldwing" off the album of the same title. They also played older songs like "Furr", "Destroyer of the Void" and the classic "Black River Killer." I've always been a sucker for the harmonica, which Blitzen Trapper makes good use of. At a certain point, one of the band members held up a cowbell while violently striking it with a disintegrating drum stick. It was pretty intense, but got the crowd fired up. Overall, the whole show was as good as I imagined it would be. After Blitzen Trapper, I had one more act to see. I made the short trek across the city to the "Reef" where San Francisco group Maus Haus was performing. Their music is experimental, but poppy with layers of synthesizes, drums, bass, and vocals. The only downside is I was unable to get quality photos due to the clubs extremely low lighting. At this point I was more than content with all the amazing music I had witnessed ane I was done documenting. The Owyhee Plaza Ballroom was on my way home, where late night dance acts were taking place. Here I also had the chance to chat with the guys from Maus Haus a little. The rest is history. Saturday I mainly lingered around the main stage chatting with local vendors and other photographers for most of the afternoon. Portland band AU came on close to 6. I had been familiar with their music prior to the set, so it was a treat to see them live with the release of their latest effort Both Lights (currently streaming over at spinner this week). 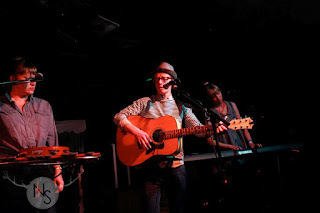 You can almost sense the musical connection between the group with Dana Valatka on the drums and Luke Wyland's ability to play multi-instruments at once. He is also an extremely pleasant human being to chat with. The crowd was all smiles. Following AU the stage flooded with guitars, violins, horns, tambourines, percussion, and everything thing else you could could possibly think of. The 13 member band Typhoon took stage with an explosive performance. It only seemed appropriate to have the legendary Boise group Built to Spill headline their hometown Saturday night. The independent group took the stage to an eager crowd. The crowd seemed to know just about all of the songs dancing and singing for the entire set especially during songs like "Going Against your Mind." 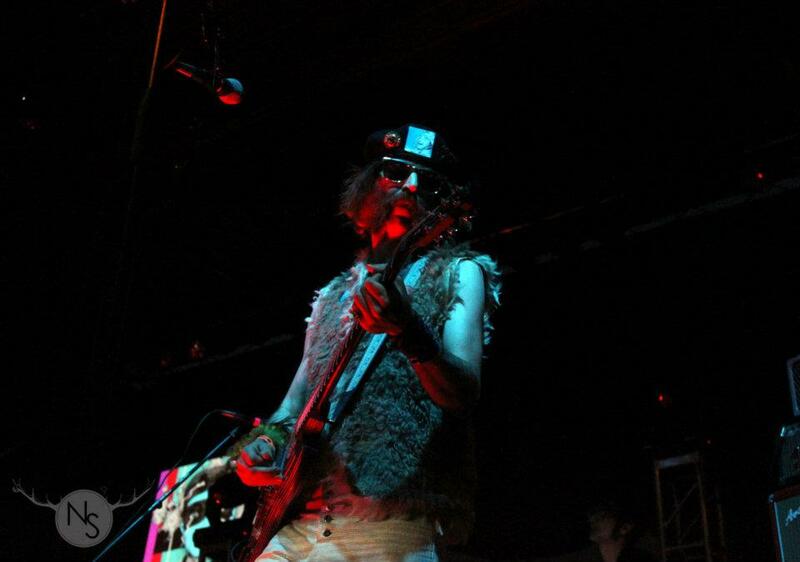 Frontman Doug Martsch broke a string at one point leaving the stage to get a replacement before coming back on. I've always been able to appreciate the kind of do it yourself band where anything goes. Guitarist Brett Netson made a comment about everything now a days being "corporate" and something along the lines of seeing "our (Boise)beer, food, and friends!" I think Built to Spill really hit it home with the locals especially during the song "Hindsight." Talking to a lot of them, nothing like this ever happens in Boise so you could really feel the energy and emotion, which also settled in me. After Built to Spill I headed to the Linen Building to see another local Boise band that completely took me by Surprise. The Band is called Shades, known for their "electro / chillwave / 80s-synth-pop." 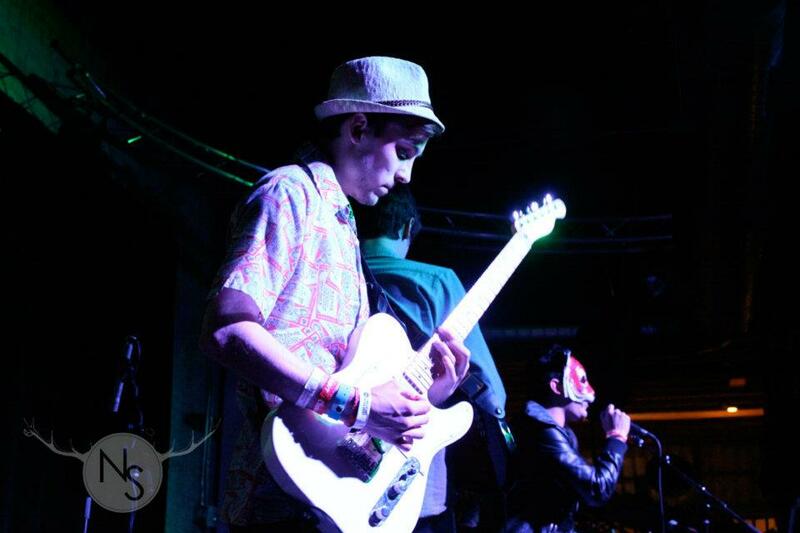 The band consists of guitar, bass, keys & synth with the lead singer wearing a tiger mask. The band also closed the set with an unexpected cover of Juicy by Notorious B.I.G. Look for more posts on Fake Plastic Tunes from Shades, they are onto something! Last, but not least. Teens is a local band who played at the Red Room late Saturday night. Best described as "Gritty, lo-fi surf punk, garage grooves of the 1960s" who last made an appearance at SXSW. Before playing their first note, they told everyone to get on stage with them. The audience didn't hesitate, literally everyone in the Red Room was dancing, mostly on stage. One word, rowdy. But fun. Here we are, onto the final day, Sunday. 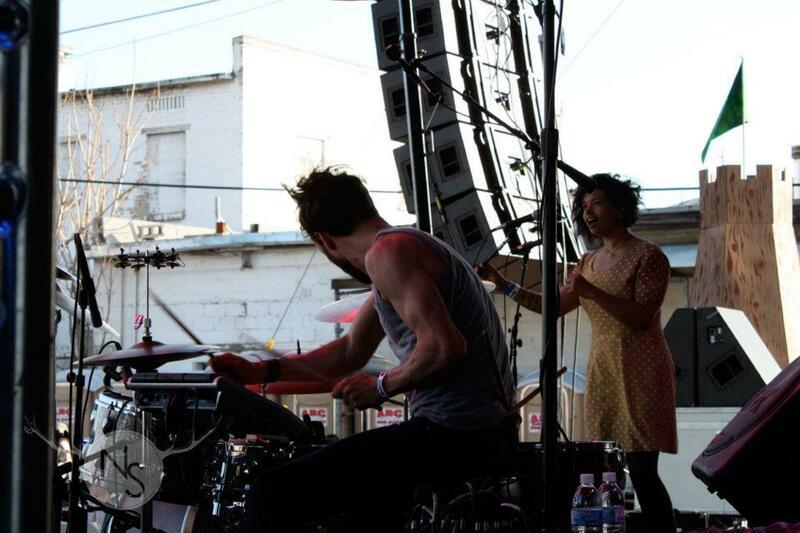 I hung around the mainstage and caught the band Wild Ones. 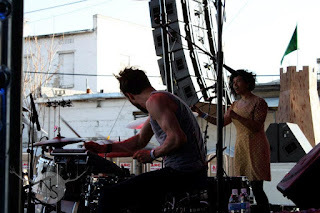 Wild ones started as Danielle Sullivan and Thomas Himes as a synth pop duo with bedroom recordings. Soon after recruiting multi-instrumentalist Clayton Knapp, drummer Andy Park, and bassist Nick Vicario. Finally, onto indie pop trio Tennis. This was one of the bands I was eager to see with their catchy new single "Origins" which they played. It was also an immediate crowd pleaser with Alaina Moore's enchanting voice and Patrick Riley's melodic guitar riffs. Now back to where it all started. 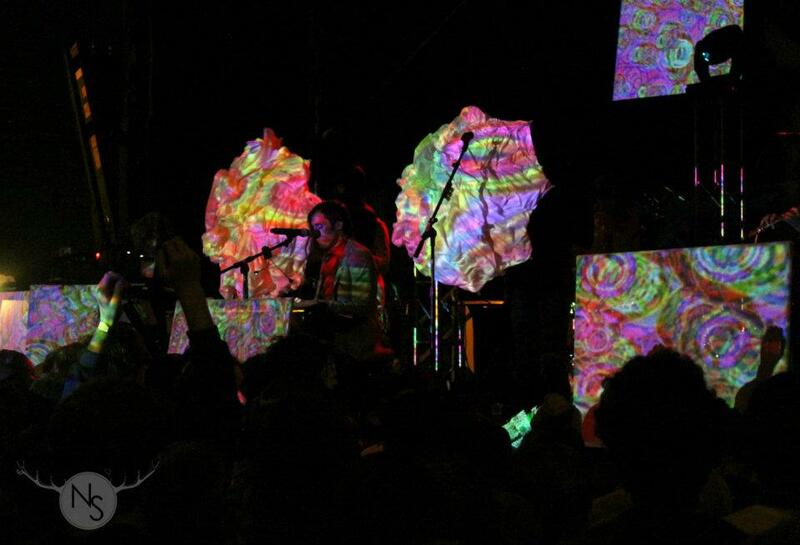 Currently on tour for the release of their latest release "Paralytic Stalks" the Athens band of Montreal took the stage. Of course they were wearing their Beatles like outfits. They opened with the first two tracks off their new album "Gelid Ascent" and "Spiteful Intervention." Following, they went into a few songs from False Priest such as "Famine Affair." When actors wearing spandex wrestling suits weren't crowd surfing or acting on stage, frontman Kevin Barnes thanked everyone for hanging out despite the brief precipitation. As the set continued they went into "She's a Rejector" which got the crowd really moving. Eventually, finishing the set with my favorite "Wraith Pinned to the Mist and Other Games" and "Heimdalsgate Like a Promethean Curse." They came back to play "Gronlandic Edit" for the encore. Before hitting the road, I dropped by the Crux, a local coffee shop and art gallery. Salt Lake city blues-infected psych rock bands Spell Talk and Max Pain & The Groovies were setting up to close out the festival. 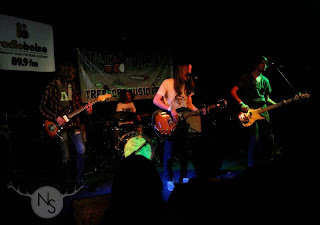 The two bands have become quite popular amongst the Salt Lake crowd, also playing SXSW with their energetic fiery live shows. As a side note from a more personal standpoint of the whole experience. I had never been to Boise, so I had no idea what to expect. It turns out, Boise is a small city with a lively urban feel. The overall hospitality in Boise is beyond words. I spoke with a lot of locals and the general consensus was "nothing like this ever happens in our town." You could really feel the energy around town, people were out and they were excited. I can't thank Treefort enough for the opportunity, it was really an honor to be apart of such a special event and with luck I hope to be back next year for Treefort Music Festival Part 2! If you are a band inquiring about any photos don't hesitate to ask, I will send you whatever.